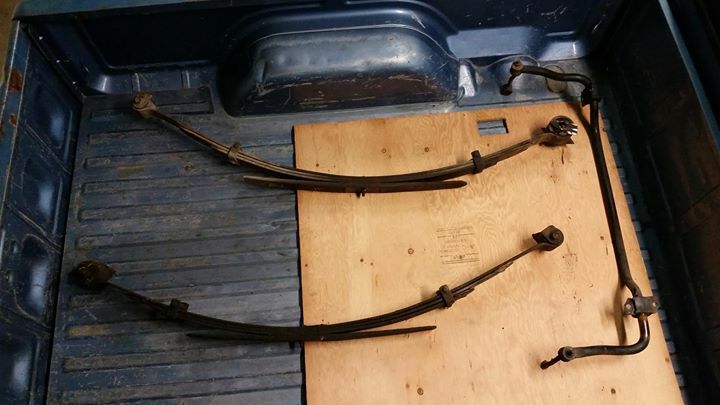 This is a thread dedicated to my at-home overhaul of some 2wd MJ leaf springs I'll be using for an SOA conversion. I'm into restoration type work opposed to full-on replacement if possible. The at-rest arch measurements were within 1/8" of each other, so even if they're not perfectly up to spec. they should at least be equal. First step was to cut away what was left of the shackles and the bolt/spacers at the top of those clamp thingeys (wish I would have thought to keep the stock shackles around... oh well.) The clamps look to be riveted to the main leaf so unless I discover a problem further down the line I'll just be leaving them attached. http://replacement-pak.com/ They sell on ebay. And likely spray-bombing the final assembly with some semi-gloss black. You're off to a good start. 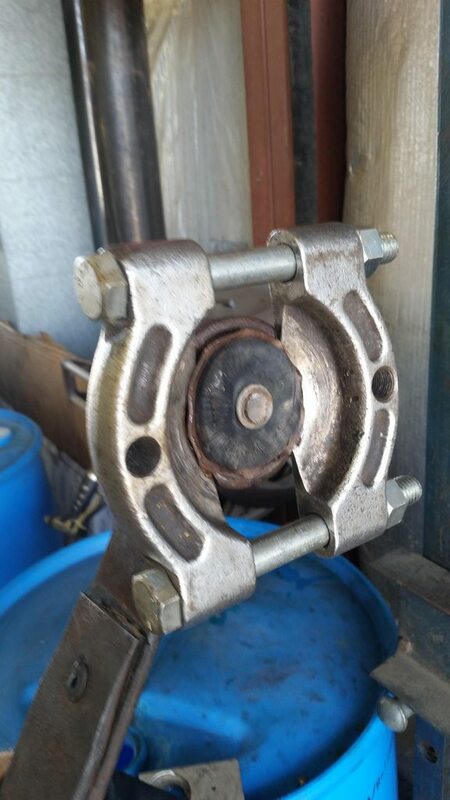 Good find on the pads -- I wish I had known about them when I was refurbishing a set of springs. 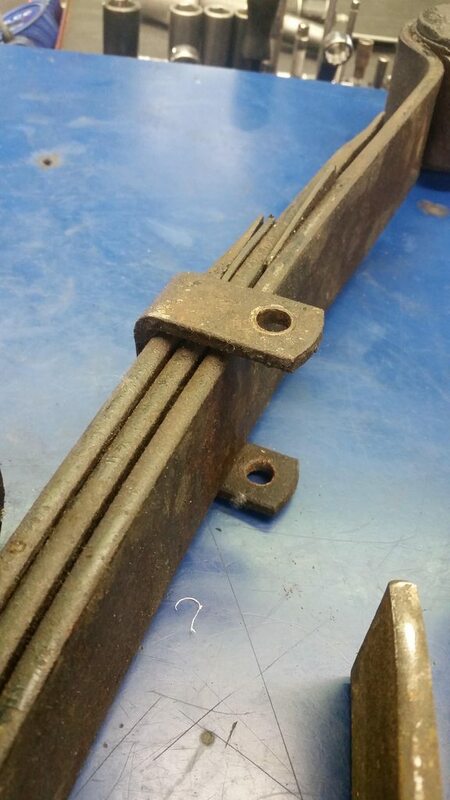 The rebound clamps are riveted to the third leaf, not the main leaf. 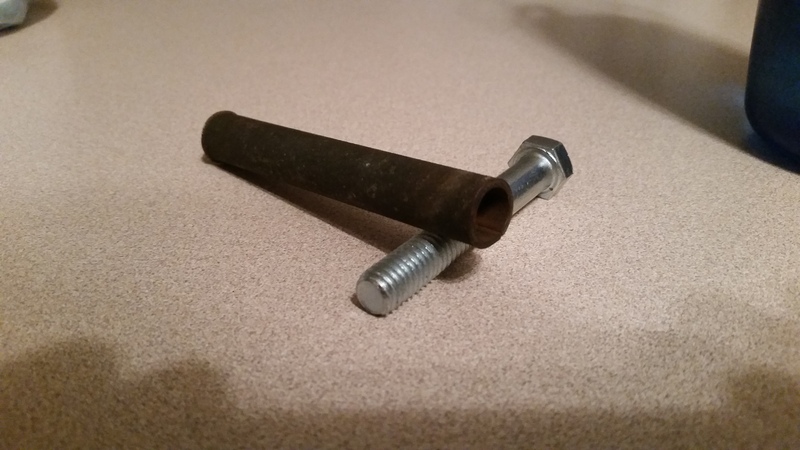 To replace, I used 1/4" bolts and the smallest steel tubing I could find that would fit over the bolts -- don't remember if it was 3/8" or 7/16", but my best guess is 3/8". 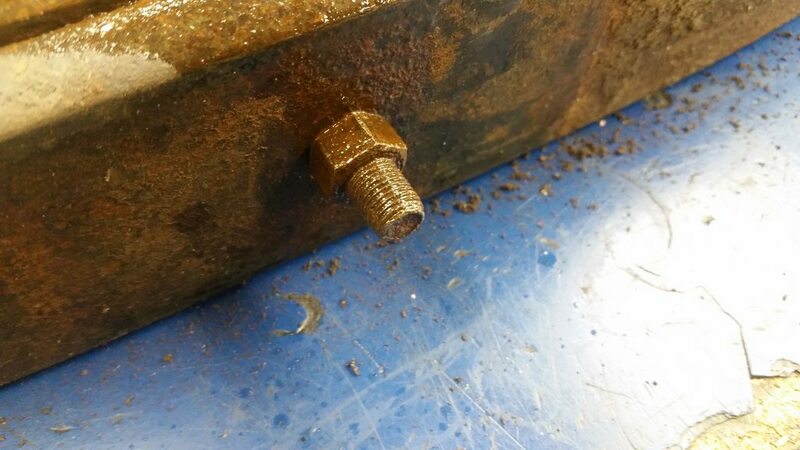 I too used 1/4" bolts. For the spacer/tube, I found a hardened steel spacer/bushing/pin at the hardware store just down the aisle from the grade 8 hardware. 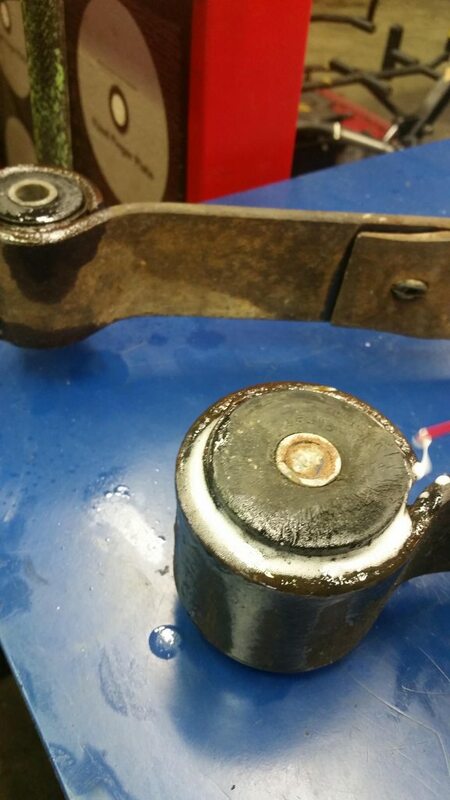 In an effort to have the disassembly removal go a little easier I've got some Deep Creep soaking into the bushings and the center bolt areas. And if you've never tried, yes it does help to clean dirt/junk off threads. Those springs look as good as new. Last year I took leaves and parts from four different springs, all of which had broken leaves, and mixed and matched to put together two complete springs. I'm in the rust belt, so I had a lot more work than you're facing. 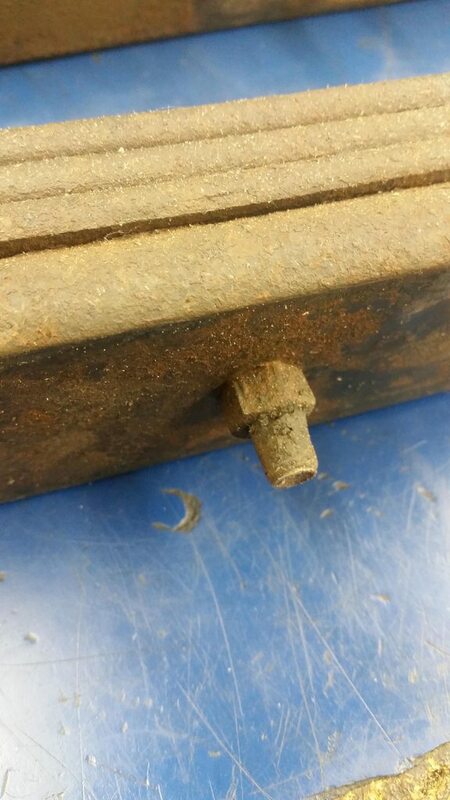 Center pins could not be salvaged. One I had to cut off. The other I was able to get the nut off after using a nut buster on the nut, but the shank was bent. I used socket-head cap screws from Lowe's, but (as others have pointed out) the heads are too large and need to be ground down slightly. 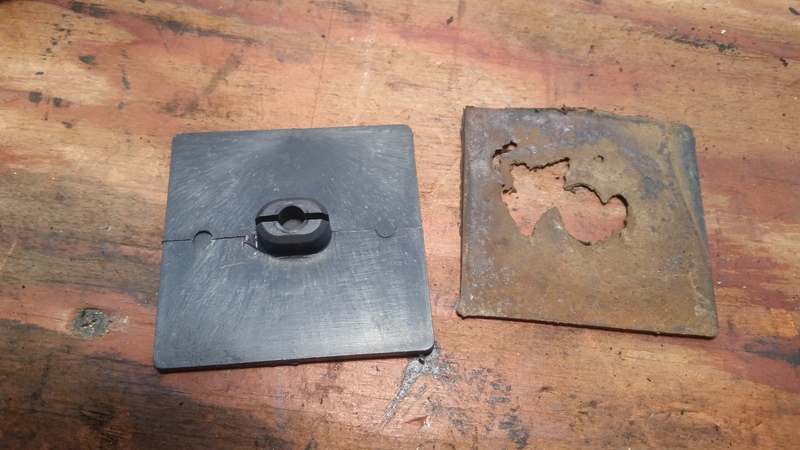 In the process, I discovered that there are two different types to those rebound clips (the straps riveted to the third leaf). There are short ones, that leave the cross pin sleeve basically in contact with the main leaf, and there are "tall" ones that leave enough gap for an additional leaf. I have no idea why the difference. It might be for different rate springs, or it might be a difference in the year of manufacture. The leaves I was working with had so much rust flaking that I had to work on them with a ball pein hammer and a cold chisel to knock the flakes off. Then I swabbed them with rust killer. Once that dried, I gave them three coats of black Rustoleum, and put them back together. The unloaded arch seems to be the same for both springs but, because of the mix-n-match origin, I don't know if they are the same spring rate. I hope so -- although I also hope I never have to use them. I've been down that road already. 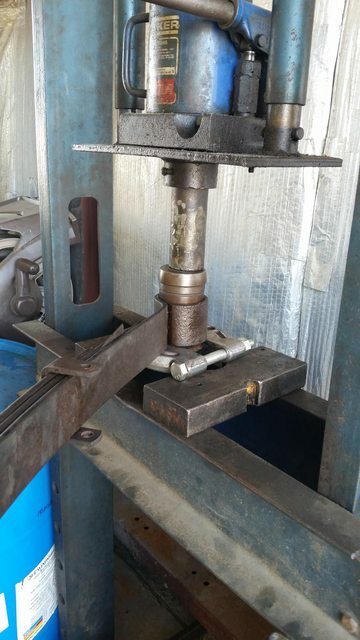 I've got a 20T press, unless you have a ram that will fit precisely over the outer sleeve of the bushing and stay inside the spring........ain't gonna happen. We've got a fair selection of press "accessories" at work, so hopefully I'll be able to find something that fits in there just right. The lube soaking in there for a week or so can't hurt either. I'm ready to torch them out if need be. So I'm actually cheating a bit on the whole "at-home" part of the project... but nothing too fancy going on. I wouldn't put heat to a spring. Hopefully I'll have time to try it out this week. 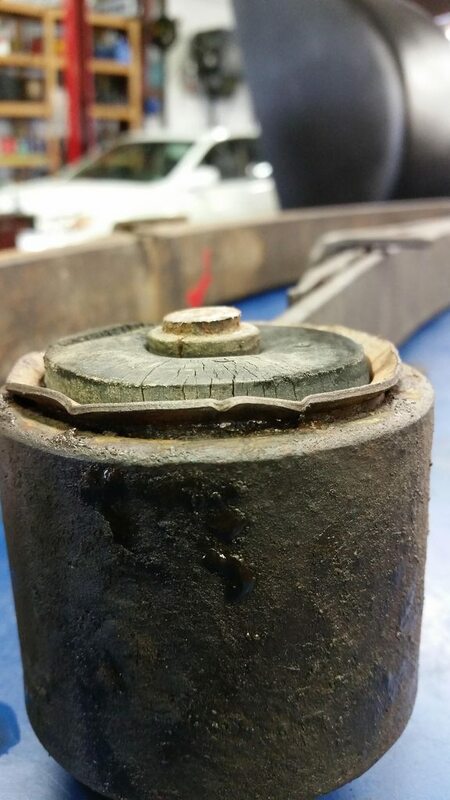 Was the rubber part of that bushing that screwed up or is that your doing? Does anyone have a line on some stock shackles? Gave it a whirl today. For those who don't have access to a press, you can pretty easily find a shop that will do this for you for a nominal charge. 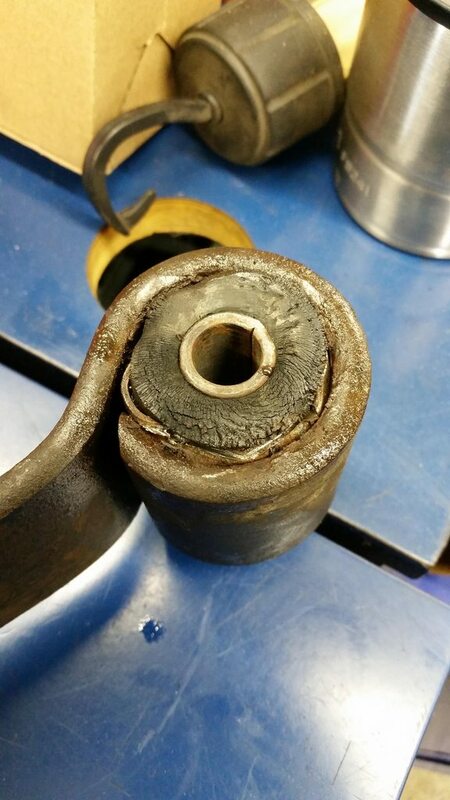 I hear that replacement plain rubber bushings for the stock shackles are pretty well non-existent, is that correct? 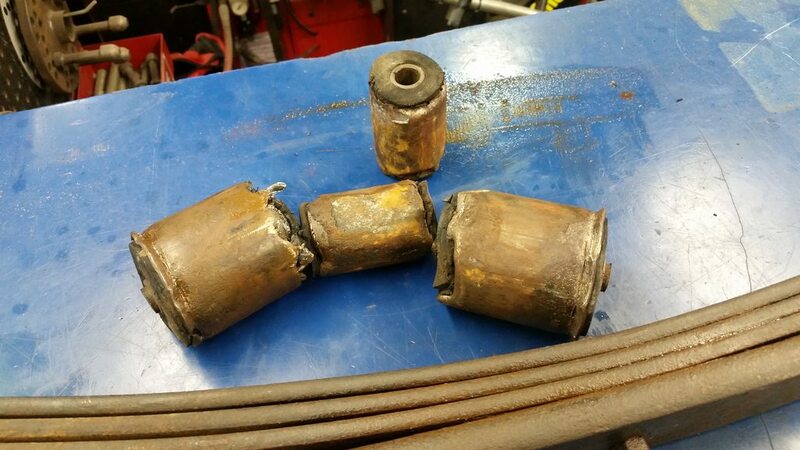 I've always heard it called a bearing splitter... either way that thing has been through hell and back here at the shop and she keeps on going. And there's no gauge on our press so I can't say how much pressure was actually on it. It got the job done! 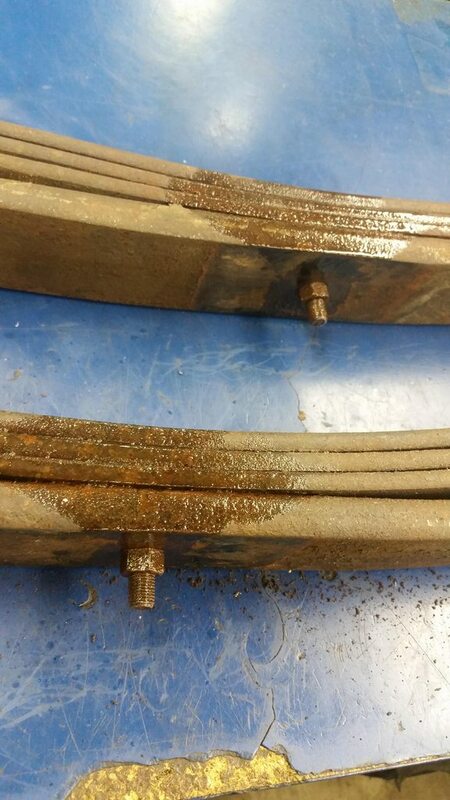 These are sleeves from some pin style sway bar links. 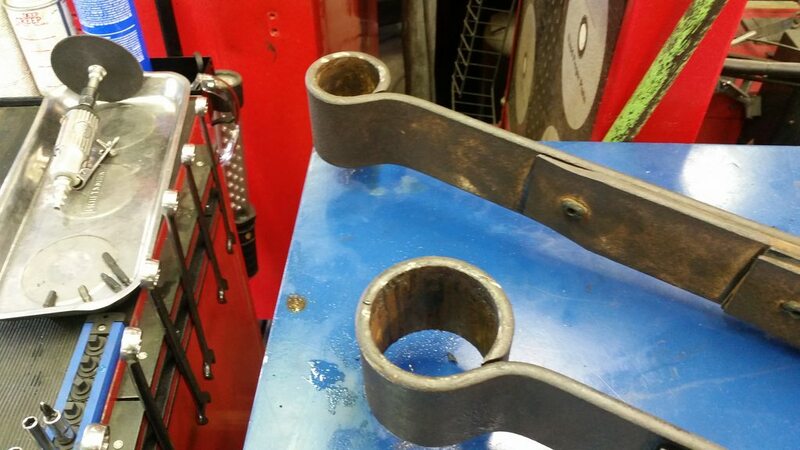 A 3/8" bolt fits like a glove through the holes in the rebound clips and these sleeves... I'll have to collect two more of them. The replacement pads came in today. Haven't forgotten about this project, I just can't afford the time or bushings right now. Any thoughts on what else I could use for the tops of the rebound clips? I never came across any more of those pins before I left the old job.